Falling Skies might have just ended their Fourth Season and started work on their Fifth and final; but it seems there is one more project Falling Skies has been aiming for – a video game. Looks like we can add another item to the list of similarities between Falling Skies and The Walking Dead, because Little Orbit has been creating a video game with TNT/Dreamworks based on this post apocalyptic/alien attack show. Though does this game have what it takes to become a hit or will it be just as much of a flop as The Walking Dead’s Survival Instinct? Well, let’s look at the facts. Now this game won’t just be loosely set in the world of Falling Skies; but actually takes place within the 2nd Mass during the time between Seasons 3 and 4. This game will dive into the 2nd Mass leaving Charleston and the battles they have along the way. Based on this timing and focusing on the ‘leaving’ of Charleston, this might all happen before Tom and company kill Karen/ find Anne and Lexi. Regardless, the game will feature Tom, Pope, Maggie, Ben, Anthony and possibly a few others returning for voice roles. Speaking of voice roles, you won’t be able to play AS any of these characters; but simply fight along side them. Though I am happy to announce that the actors on the show WILL voice their game character counterparts (ie: Noah Wyle will voice Tom Mason). As for what type of game this will be, Little Orbit CEO Matt Scott says one thing, the trailer another. 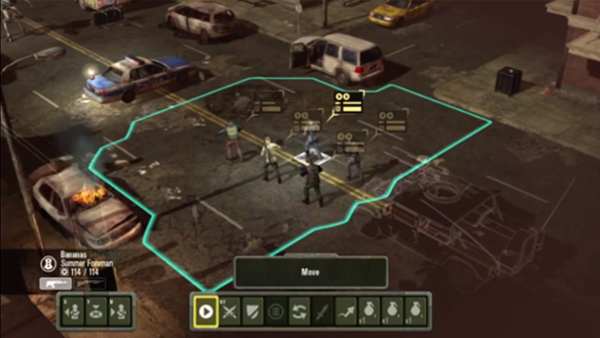 In an interview, Scott described the game as: “A Tactical Shooter … primarily played from a top down isometric view”. Now what the heck does that mean? WELL, think of the old Age of Empires games or even League of Legends to an extent. This isn’t really a tactical shooter; but actually functions more like a real time strategy game. 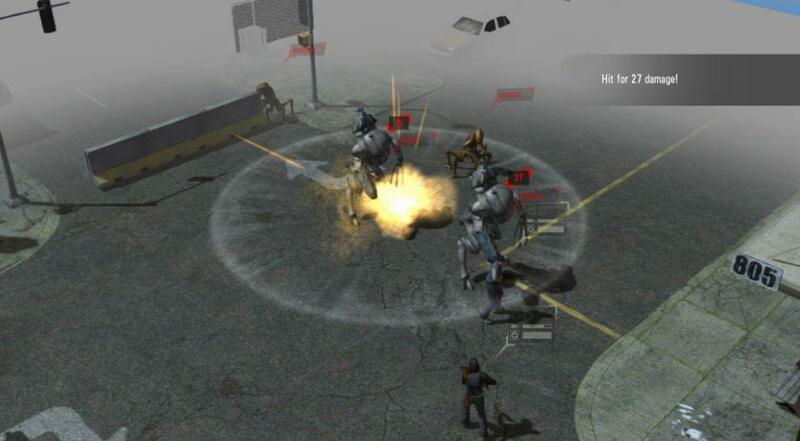 According to Scott – and gameplay footage – you’ll move around a squad of 6 or so members and “direct their actions turn by turn”. The only time we get actual ‘shooter’-like action is when you select a character to perform a certain move, which operates more like a cinematic than an actual shooter. Add in the fact that the map is fogged up and “obscured” until you explore it more, and you absolutely have an AoE, LoL, etc style game. As you progress you’ll have chances to level up, collect resources and upgrade bases – again, let’s call it what it is, Age of Empires. Honestly, this game seems like a waste of resources. Do you remember The Walking Dead: Survival Instinct – the Daryl centered prequel video game to The Walking Dead? Even that game didn’t do too well because of poor graphics, tons of bugs and lack luster gameplay. In many ways, Falling Skies has followed the path of The Walking Dead; but with much less success. The way things look; this game will be no different – especially when you consider it’s overall timing and game type. I feel like this game is too complex for it’s own good in some regards, and not complex enough in others. Is the setting dynamic? Possibly; but it comes at the wrong time. If this game is meant to bridge the gaps between Season 3 and Season 4, why wasn’t it in development sooner. Most fans of the show are interested in Season 4 to 5, not backtracking – especially since this season had some bad moments of remembering past seasons itself. Further more, the game type is very lack luster. This isn’t to say that these types of games are bad in of themselves. It’s just that Falling Skies isn’t the game to showcase that genre. 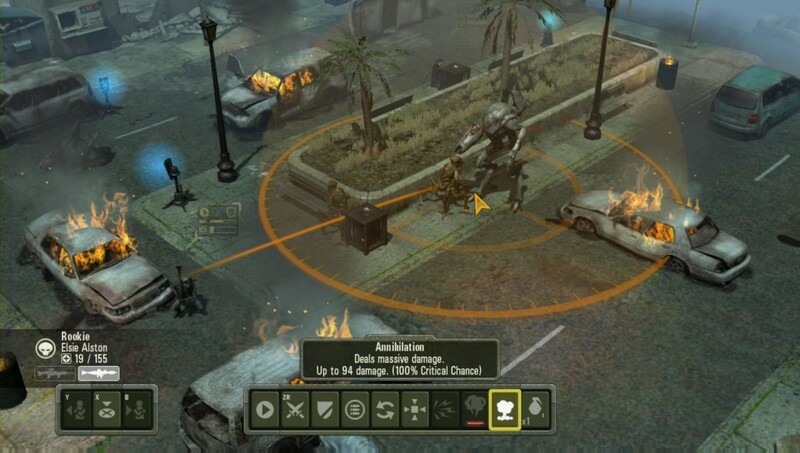 Age of Empires, League of Legends, etc all have huge forces to command whereas Falling Skies will give you just 6 in the same basic format. This game could have been much better suited as an actual shooter – like a Halo or at least StarWars: Battlefront. Even the graphics of this game are subpar, which when you consider the show is strange since there is always such dedication to trying to give amazing graphics. This game on the other hand doesn’t even seem to try. Even for a last Gen game its graphics are less than stellar. 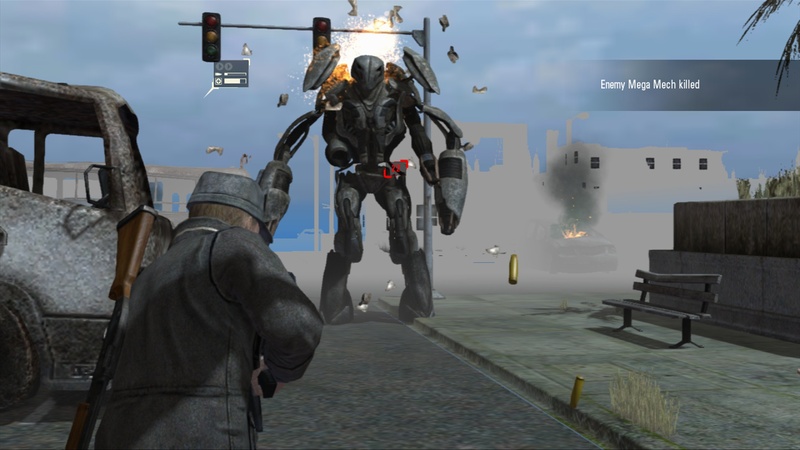 Additionally, the whole genre of ‘post apocalyptic/alien attack” might be pretty rare on Television – which gives Falling Skies a niche – but there are countless video games that aim for this – Halo, Destiny, etc. If you’re going to make this look like League of Legends, at least give us more than 6 characters to command. All in all, this seems like a cash grab – and a poor attempt at one. Falling Skies is a good show; but not good enough to attempt spreading itself this thin. The resources and hours put into creating this game could have been much better spent at writing for this season and the shows next and final Season, which is set out next summer. Who knows, maybe this game is the reason Falling Skies only has 1 more Season. Perhaps if this game wasn’t made, they could have spent more time on the show and ignited fan craze to give it more time. Falling Skies the video game will be released for last Gen Consoles (Ps3 and Xbox 360) as well as Stream for PC on September 30th.